The cottages can be found in various counties around the UK and Ireland, with Cumbria, North Yorkshire, Northumberland, Derbyshire, Staffordshire, Argyll, Sutherland, Morayshire, Inverness-Shire, Dumbartonshire, Dyfed, Lancashire, Worcestershire, Isle of Wight, Lincolnshire, Cornwall, Kent, Somerset, Devon, Perthshire, Norfolk, Dorset, Essex, West Sussex, Wiltshire, Warwickshire, Stirlingshire, Ayrshire, Wigtownshire, Gwynedd and Northamptonshire all getting a mention. There is one holiday cottage to report on this week. And that cottage is: "Tracara Cottage in Horning, near Norwich". 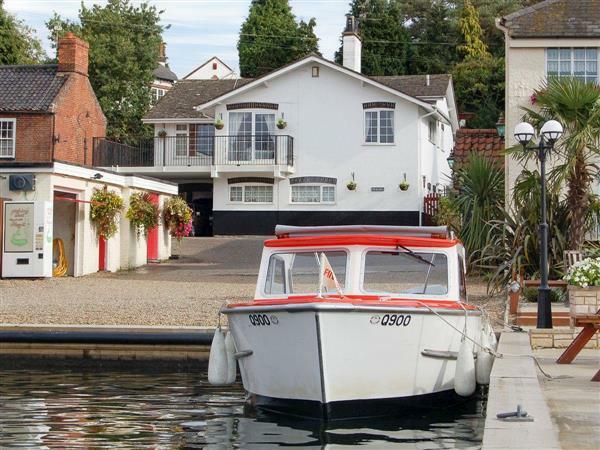 Tracara Cottage in Horning, near Norwich - Tracara Cottage in Horning is a first floor holiday apartment on the banks of the River Bure. Tracara Cottage is in the heart of the Norfolk Broads and sleeps 8 people.